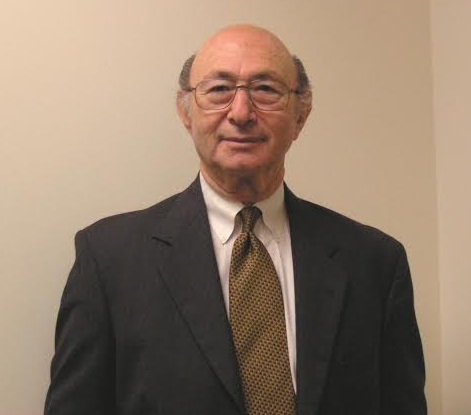 Dr. Newton Margulies is Professor Emeritus of Organizational Behavior and previously Associate Dean for Executive Education. He has served as Dean of the then Graduate School of Management, University of California, Irvine, where he has also served as the founding Director of Executive Education. In addition, he has the distinction of being appointed a Fellow in Executive Education (1999) in the Anderson Graduate School of Management at UCLA. Dr. Margulies earned the B.S. degree in Engineering from the Brooklyn Polytechnic Institute, the M.S. degree in Industrial Management from M.I.T., and the Ph.D. in Management and Behavioral Science from UCLA. Dr. Margulies has been a visiting professor here and abroad and has lectured extensively both nationally and internationally on the subject of organizational change and development. He has extensive experience in consulting with a wide variety of organizations on change and organizational transitions including TRW, Northrop Corp., the Nuclear Regulatory Commission, Nissan Motor Company, Fluor Daniel Corp., a number of Head Start agencies, Kaiser Permanente, the National Emergency Medical System, and Community Health Group. Professor Margulies is the author of more than 65 articles in the field of organizational change and development and has co-authored 6 books in the field including Organizational Development: Values, Process, and Technology; Conceptual Foundations of Organizational Development; Organizational Development in Health Care Organizations; and Human Systems Development. This is a tricky question. I believe that first and foremost I try to do the right thing. This is a value instilled in me by my parents and is really very much of who I am. It has also given me sensitivity to others and helped with the development of sound interpersonal skills. On the professional side, my training and skill in organizational diagnosis and change planning are areas that I believe have enhanced my professional focus. The experiences in these areas have simply honed my abilities and perspective. I must say, I am an avid academic and a problem-solver—these have stayed with me my entire career rooted in my engineering background and practice. I think I have tried to maintain flexibility in approach, while staying true to basic values and beliefs (like integrity honestly, openness). It’s important to develop a willingness to learn but not become enamored and stuck with any one framework or theory. Being open to new perspectives but staying true to the foundations of my discipline. Others have remarked about my “intelligence”. I have always been appreciative of intelligence. My fascination with history has contributed to a well rounded perspective on the social, economic, and political dynamics that are often at work. Read, read, and read. Develop broad perspectives, read from sources not common to one’s discipline. For example, one would not expect to discover leadership principles in the writing of Bruce Lee (the martial artist), but indeed they are there. Personal: From a professional point of view, I have experienced my career aspirations. I have been a Full professor in the University of California, a Dean on two occasions, have written published articles and books in my discipline, and have been a noted consultant to many organizations. I would like to continue to write about my experiences with organization change, and contribute to further the development of management education. I am still fascinated by the complex motivations of people. How people in leadership positions comprehend their role and often (it seems to me) do not understand the impact of their behavior. I am fascinated by the change in management education in just a few short decades. The era which placed importance on self awareness and interpersonal relations seems to have been displaced by technological focus. I have two. I am passionate about the growth and stature of UCI. And I still believe that history can teach us lessons about organization, culture, and life.